Upgrade Your Business with these Tips from Elevate 2018! Discover how you can leverage on technology to maximize the potential of your business. 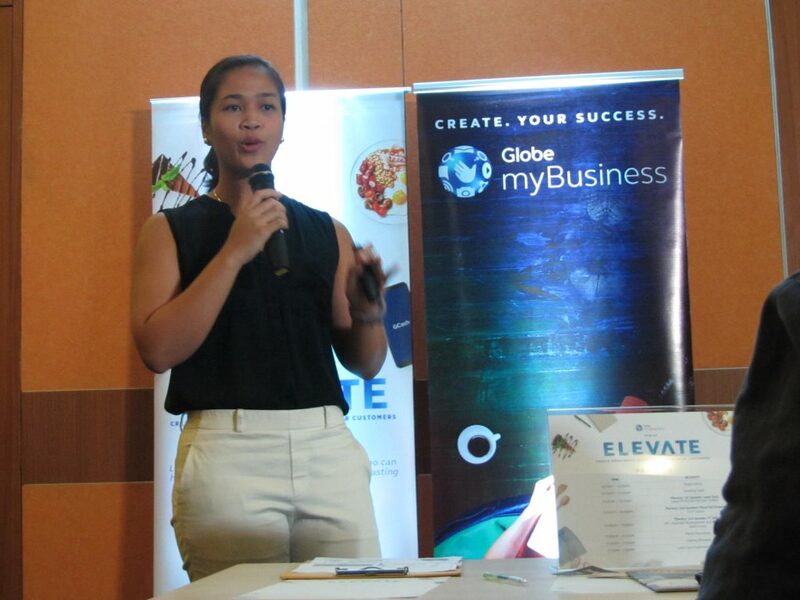 On October 20, 2018, Globe myBusiness in partnership with Globe Labs hosted Elevate 2018, an event for various owners of financial businesses, from pawnshops to rural banks. It was full of industry insights and useful tips for attendees, which got everyone in the room excited and looking forward to boosting their business operations and success. 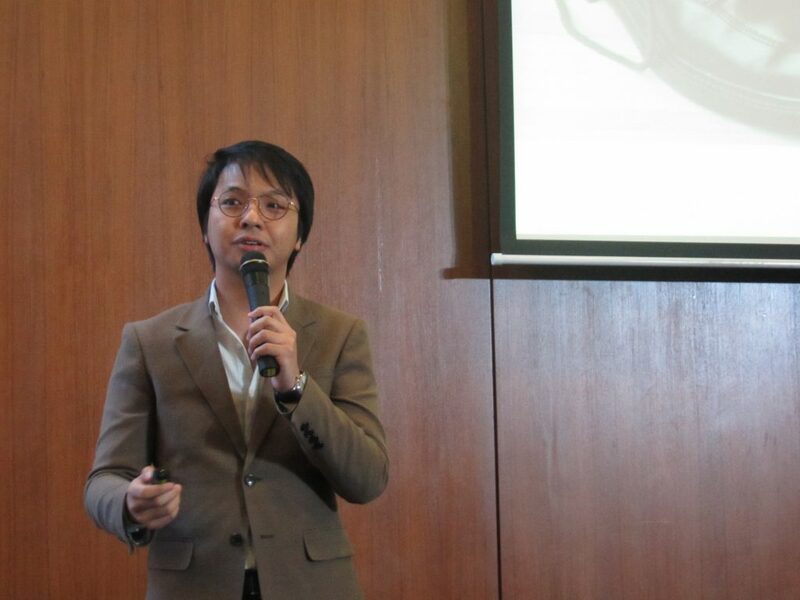 The event’s roster of speakers included the Head of GCash partner outlets Ms. Lexie Eala, HTP Clothing owner and founder Ms. Ricca Del Rosario, and Xend Group VP for partnerships and business development Mr. JT Solis. Their insights and tips, however, were for more than just businesses in the financial field—they were tips that could help businesses of all industries maximize the benefits of today’s ever-evolving digital world. 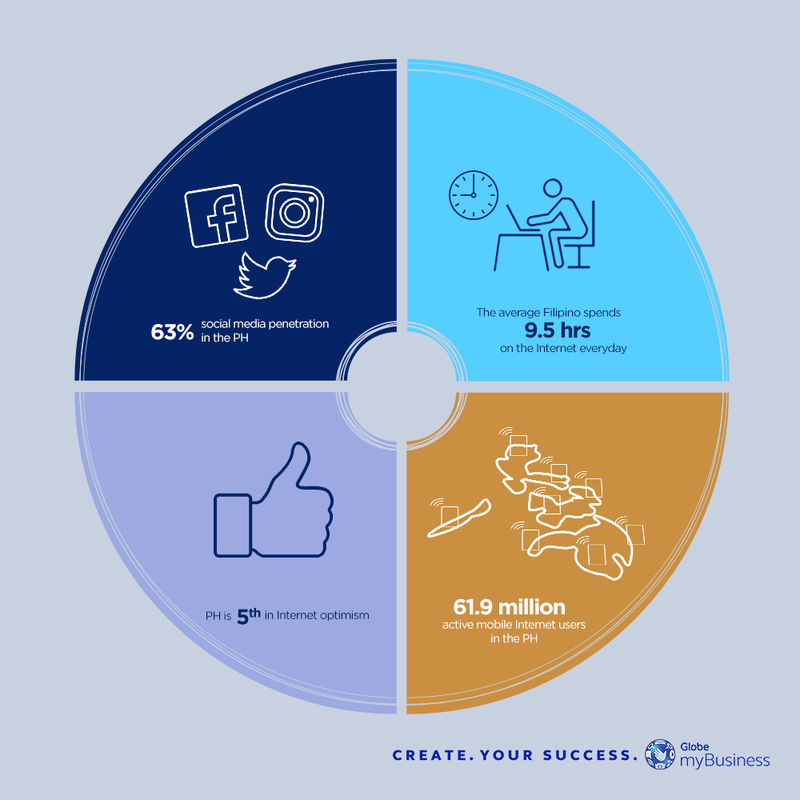 The average Filipino spends 9.5 hours on the Internet everyday. There are 61.9 million active mobile Internet users in the Philippines. There is a 63% rate of social media penetration in the country. The Philippines is second among 50 countries in time spent on the Internet per day, and the first in time spent on social media. It’s also the fifth in Internet optimism, which states that most people in the country believe that technology offers more opportunity than risk. How, then, can business owners adapt and make the most out of these digital trends? As Ms. Eala says, it can be done by having the most relevant business operations, making sure that operations are optimized to the best they can be, and meeting customers where they are, which is online. Ms. Eala continues on to state that there’s a difference between having people click on your page, and having them engage with your business. In order to make the most of digital marketing, you need to build an ecosystem. Owned: In order to showcase your business, you need to be online. The best way to do this is by having your own website, where you can showcase the products or services you offer, where customers can contact you, where FAQs are answered, and where you can provide a “Call to Action” that moves audiences toward purchasing. Paid: You also need to invest in advertising. In order to drive people to your site, don’t expect them just to find it. Most people search for a business online, and the Internet is crowded. Be the first they see on Google searches or social media platforms. It’s actually more affordable than you expect. Earned: Finally, you need an “it factor” that will make your customers come back. Know your audience and get them to engage with you, find a niche through different modes of content, and don’t just leave it at simply posting about your sale, promotion, or product. Ride the wave of digital growth. GCash has recently grown a lot by expanding their services to online shopping, bills payment, money transferring to bank accounts, hyper growth through technology and innovation, offline payments, and offering discounts and cashbacks. 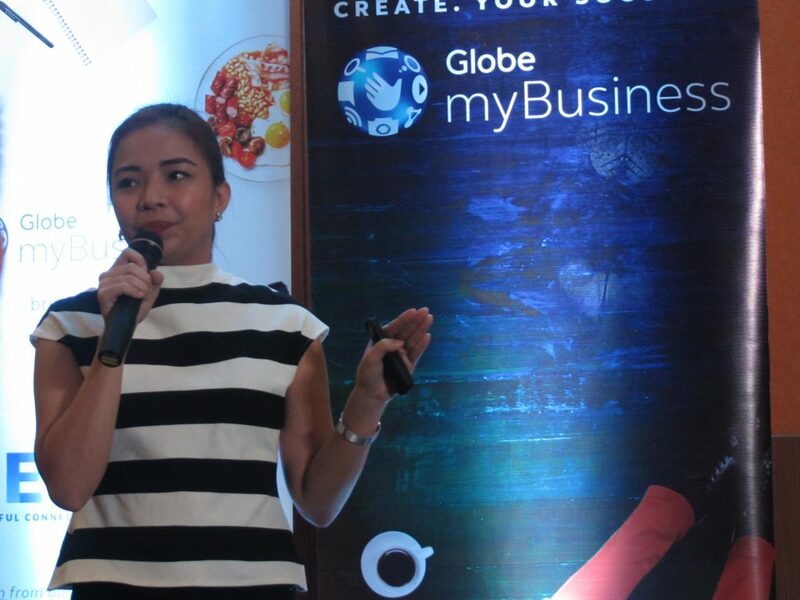 With the help of Globe myBusiness, entrepreneurs and business owners can ride on the growth GCash has been experiencing and support the cashless economy by utilizing QR-code payment at their online or offline stores, and becoming a cash-in partner to expand their business horizons. HTP Clothing’s Ricca Del Rosario has a story that’s both inspirational and aspirational. More than just a unique way to start a business, her account also details how business owners can leverage on an online presence to grow their business. She started her business on Instagram and quickly established her name on the platform by selling pre-loved clothing at cheaper prices, before deciding to create her own line of brand-new clothes and set up her own website. She knows all about the ups and downs of selling on either platform, and she can say with confidence that it’s very much possible to maximize your business on social media. Have a story you can share. What sets HTP Clothing apart from all the other brands out there is the story Ricca shares with each piece of clothing. Her customers feel close to her and many of them even become her friends. She treats her Instagram account like a personal blog, where she shares insights about her clothing and her life. Her online shop itself also has a personal touch. Finally, the process she used to start her business in the first place—a first-come, first-served basis for staking a claim on the clothes she sells—is a process she hasn’t stopped using even now that she has her own shop. It’s become part of her brand’s identity, and it gives her customers the rush of adrenaline they’ve enjoyed since the beginning. Serve the market better with a good strategy. Xend’s JT Solis shares their expert service strategy that has kept their business going and growing through the years—RED: retention, expansion and diversification. Retention: As he says, the holy grail of any business are the customers who keep coming back. These customers provide a dependable revenue stream for your business. Expansion: The key question you need to ask yourself is, “How do you expand beyond what your typical resources will dictate you to expand?” Today’s technology allows you not to be restricted by the resources or money you have, and it’s possible to expand without owning touchpoints yourself. Diversification: Finally, at one point you’ll want to go beyond the first core service you offer to the market. You’ll want to provide more services to customers, and in doing this, you’ll be better able to retain them, too. There are many ways for you to increase the value you offer to the market, and these are ways to continue your growth and success. Throughout the day, attendees discovered many key insights from the speakers, and one that stood out the most: with technology, progress can be made possible and within reach for businesses of all industries. From starting your business with a product and a story like HTP Clothing, to keeping your customers and expanding your growth like Xend, to growing with the wave of digital through partners like GCash, technology is at the forefront of all kinds of positive change, and is truly the key to success. For more business tips and inspirations, sign up to Globe myBusiness Academy today!